The month of February is just a few days away and once again the EA GameChangers program for SWGoH has provided the Daily Login Character and Monthly Events Calendar to Gaming-fans.com. While Star Wars Galaxy of Heroes has seen the addition of the OT Millennium Falcon in the past few weeks, it is time to look ahead to the month of February and start reading into the latest information we have at this time. To start that look ahead SWGoH GameChanger Gaming-fans.com is one of two select international media sources to announce that the February daily login character in SWGoH will be Solo: A Star Wars Story droid star L3-37. While she has only been in the game for a few months, L3’s place in SWGoH is a solid one as one of the best droids available to date. 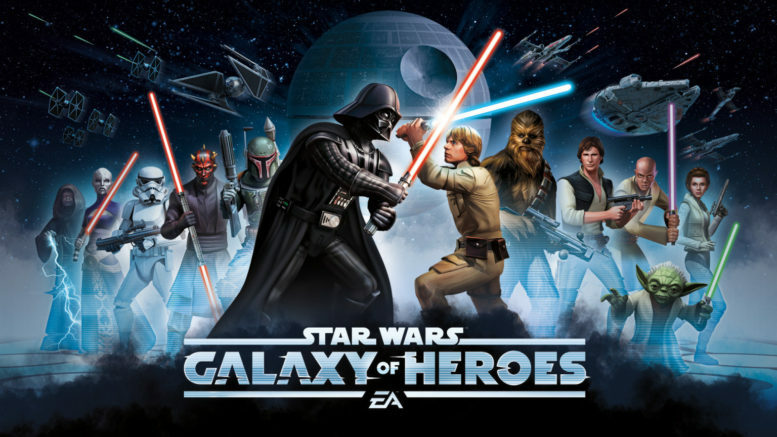 While finding the best mods for L3-37 is important for her survivability and to maximize her kit, SWGoH players can always look to Gaming-fans.com for our Best Mods guides for ALL characters in Star Wars Galaxy of Heroes to ensure you have your roster as strong as possible. October – Nightsister Spirit – The Nightsister Spirit was likely the login toon for October to celebrate one year since the Nightsisters faction rework and expansion, and because she is spooky. December – Ewok Scout – Ewoks were the faction needed to unlock C-3PO in his Legendary Event. January – Slave I – The Slave I was one of the four Bounty Hunter ships needed to unlock Han’s Millennium Falcon. Meanwhile, looking at the February SWGoH Calendar, Grandmaster’s Training is slated for the month as is the Emperor’s Demise Palpatine event. On top of this, one Rebel Assault (LS Territory Battle) is scheduled as is one Imperial Retaliation event. The entire calendar is now live on the site by clicking the link above. Be the first to comment on "SWGoH GameChangers: February’s Calendar & Daily Login Character Released"